Dental hypnosis downloads for dental phobia and dental pain are a fantastic way of getting all the benefits of hypnosis, at a fraction of the cost of seeing a professional hypnotherapist! 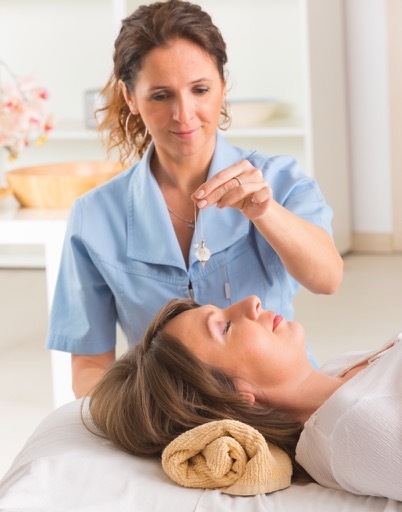 I trained in medical and dental hypnosis while I was working in England, and I found that it was a superb way of helping people with dental fear, dental phobia and dental pain. Dental hypnosis recordings are available from many sites online. Most are good, but some are not so good, and, frankly, a waste of money. Easily the best downloads in terms of effectiveness, great customer service and fantastic website, are from Hypnosis Downloads.com. I have used some of the downloads myself for help with other issues, and I have always been very impressed with the ease of ordering and the quality of the products. Why download dental hypnosis recordings? Hypnosis is a very powerful way of dealing with several dental problems, from dental surgery phobia to teeth clenching, jaw grinding, and creating your own dental anaesthesia, as well as gaining control of your gag reflex, and controlling post-operative pain after, say, a dental implant or a tooth extraction. Go into the search box, in the image above, and type in "dental". You'll get a list of the downloads available that involve dental problems. You'll see "dental phobia" in there. Then, click on the link that is of interest to you. You'll be taken to a page with more information about your selection, and a link to download the hypnosis session if you want to proceed. Once you have the download, you can listen to it on your computer or transfer it to an MP3 player, such as an iPod. The tape session starts with some simple instuctions on how to get the best from the download. I have found that listening to the download through headphones gives me the best experience. Sometimes, I "wake up" at the end of the session, and it feels like I fell asleep, because I could not remember ANYTHING about the hypnosis session I just listened to! BUT I always feel good afterwards, and I start to feel the desired effects of the session within a few hours. Normally, you have to listen to the download every day for the first week, and then every two to three days after that for another week or so. The more you listen to the hypnosis session, the better it works! I highly recommend dental hypnosis downloads for REAL, EFFECTIVE help with several issues relating to dental treatment and dental problems, especially dental phobia.